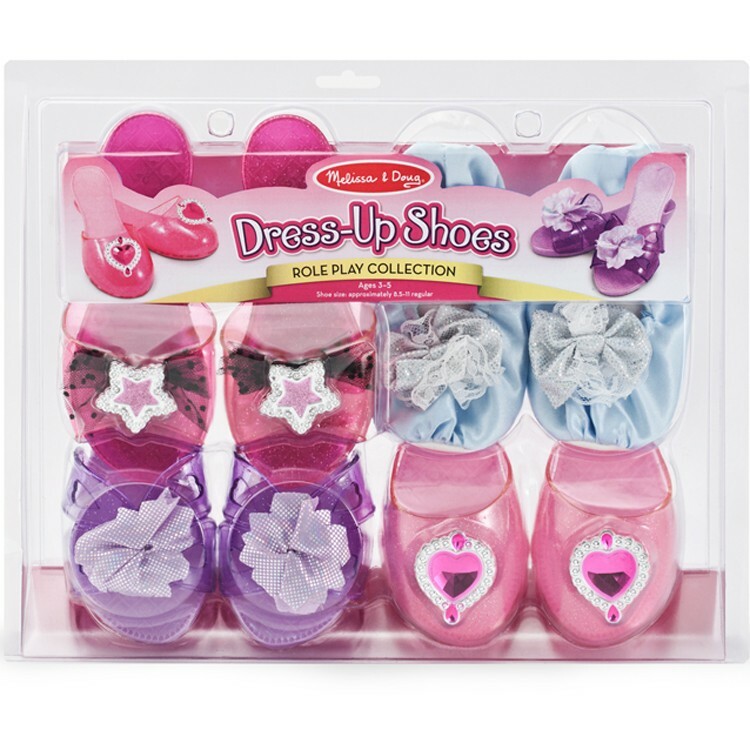 Your girl will feel like a true princess, ballerina, fairy, or star walking around in her own collection of dress up shoes by Melissa & Doug. 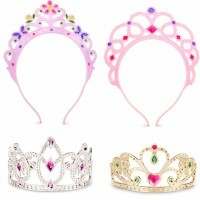 Your little Cinderella will be delighted to add not one glass slipper, but 4 pairs of beautiful princess shoes to her dress-up trunk. 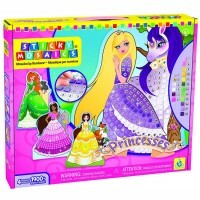 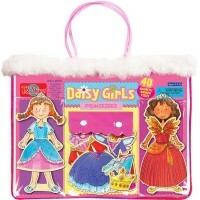 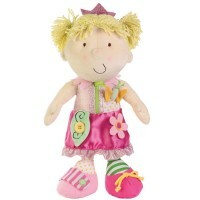 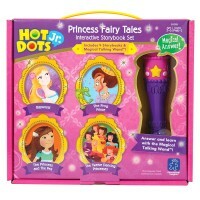 Girls Dress Up Shoes 4 Pairs Play Set by Melissa & Doug is every girl's must-have gift. 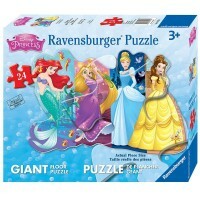 This princess shoes playset comes with 4 assorted styles pairs of shoes. 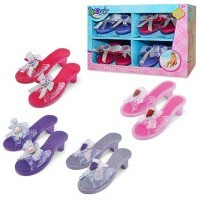 This stylish pretend princess shoe set features slip stopper soles, comfortable fit, and truly royal look. 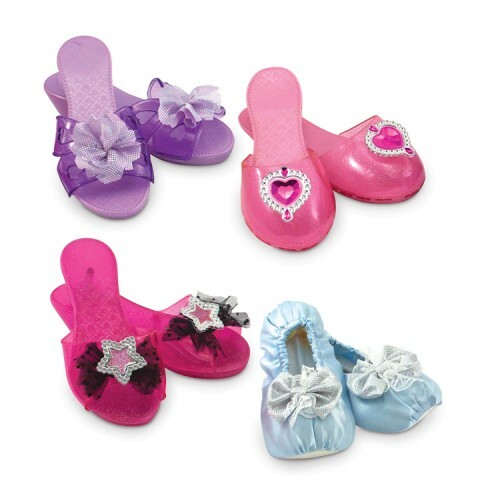 Girls Dress Up Shoes 4 Pairs Play Set includes pairs in purple, light pink, light blue, and magenta pink shoes. 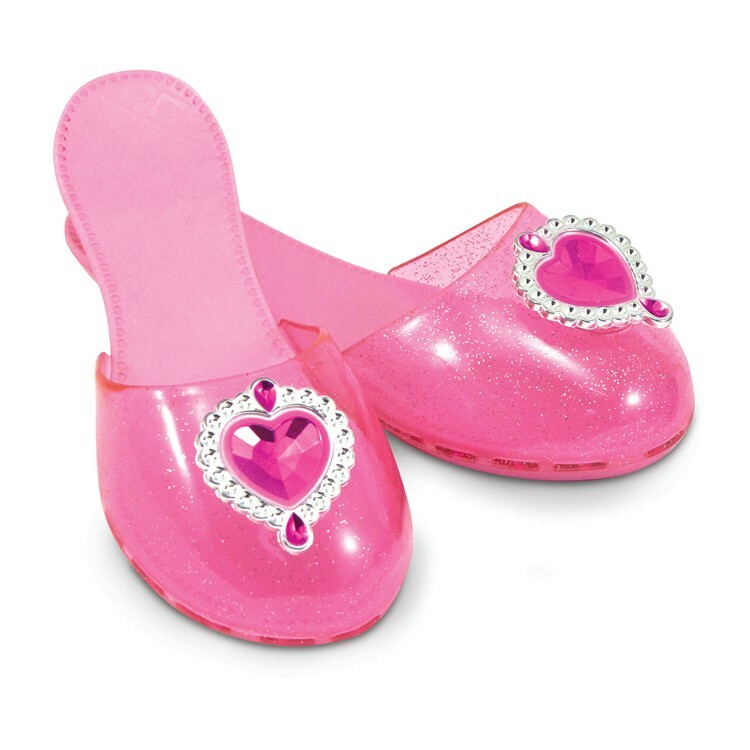 With this glamorous play shoes from Educational Toys Planet your imaginative girl will turn into for a beautiful princess, graceful ballerina, magical fairy, or signing diva.The princess shoes set fits most princesses ages 3-5. 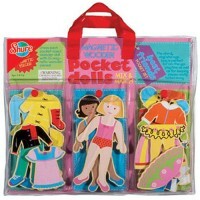 Dimensions of package 2.7" x 11.5" x 13.8"
Write your own review of Girls Dress Up Shoes 4 Pairs Play Set.